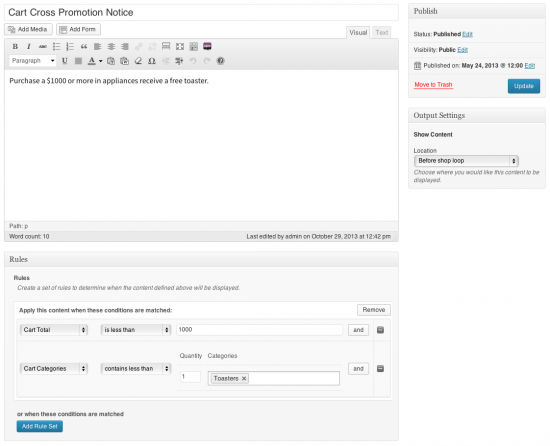 WooCommerce Conditional Content Extension: Automatically display messages, advertisements, reminders and more based on a rules you define. Highly flexible! If you want to give your customers a dynamic shopping experienced tailored to them, the WooCommerce Conditional Content Extension is for you! 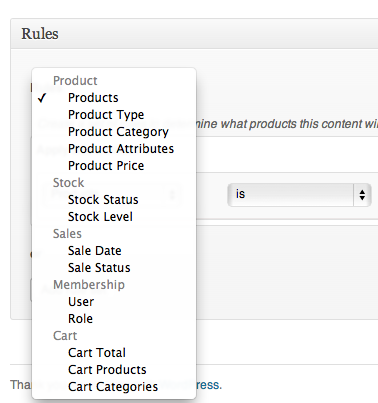 The WooCommerce Conditional Content Extension features a comprehensive ‘rule builder.’ This tool lets you define where and when dynamic content will display in your WooCommerce store. For instance, you could create a message promoting products about to be ‘out of stock’ and give customers a call to action to ‘buy now’. Build simple or complicated store messages based on dozens of pre-defined criteria. 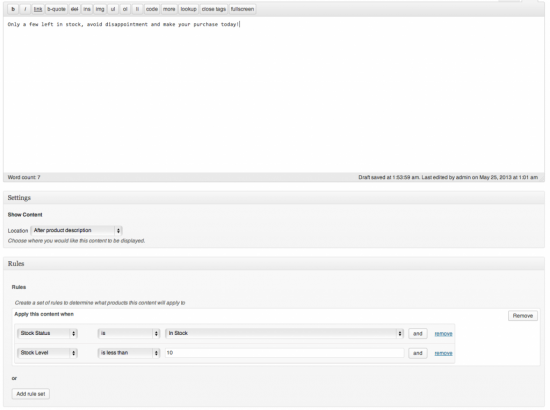 … making it easy for you to define display locations anywhere on your site! Supports the WooCommerce Dynamic Pricing Extension! ◉Display a message on products which are about to go on sale. ◉Display a message on products which are about to go out of stock or expire. 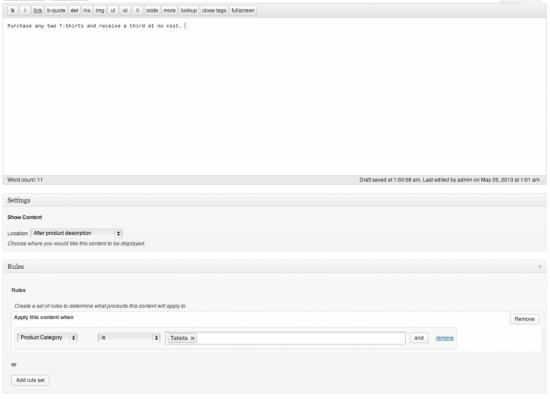 ◉Display messages to specific users or specific user roles. ◉Display messages on the cart when certain products are in it. ◉Display messages on products when other items have been added to the cart. ◉Display Pricing tables that correlate to Dynamic Pricing rules.